Survive-it is the largest specialist civil defence supplier in New Zealand who offers a complete package to workplaces including supply of kits, maintenance, workplace training and rescue equipment. Below are just a few examples of our customers. Different industry sectors show our diversity and capability for the supply of civil defence solutions and ongoing maintenance to any type of workplace throughout the country. Survive-it work with many Government Departments. This has included large office fit-outs, national roll-outs, supply of large quantities of “grab-and-go” kits and maintenance of CD equipment. We have won several Government “GETS” contracts which demonstrate our quality of goods, our efficient services and our competitiveness. We are able to supply references for Government work we have completed. 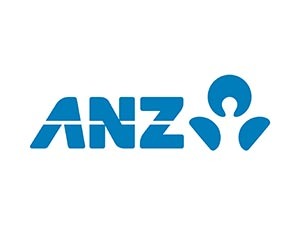 The ANZ Bank wanted a good civil defence solution for all of their corporate offices and retail banks throughout New Zealand. Survive-it worked with the bank to fine tune and implement a solution throughout their very large network. 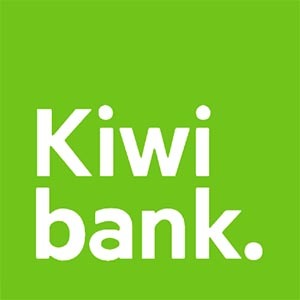 We are proud to have helped the ANZ Bank in New Zealand to ensure their staff and customers are well prepared for an emergency. Survive-it have worked with Massey University over several years to help ensure their campus in Wellington is well equipped with civil defence equipment. As with all large sites, this is an ongoing project to keep up with the changing landscape of new buildings and ever changing needs of a dynamic university. The University of Otago Wellington medical school is adjacent to the new Wellington Hospital. Survive-it had already supplied the Hospital with special civil defence cabinets and the University wanted a similar solution. We worked with them to supply customised civil defence cabinets and provide a solution which worked well for their complicated building layout. 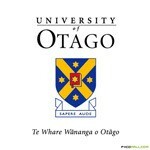 Survive-it has just completed an audit and upgrade of 23 existing cabinets at the University of Auckland along with 5 new cabinets installed. We were able to reuse items and upgraded cabinets to current standards. Wellington Hospital comes under the Capital & Coast District Health Board (C&C DHB) which is the leading provider of specialist health services in the central region of New Zealand. Survive-it worked with this DHB to supply customised civil defence cabinets for Wellington and other hospitals throughout the area. This was a very large project which we completed over a phased 3 year roll-out. Survive-it completed a roll out to Palmerston North Hospital of 12 customised cabinets to look after staff in an emergency. We have now worked with several other DHB’s around the country and continue to build our good reputation in this sector. Transpower is a State Owned Enterprise, tasked with owning and operating New Zealand’s National Grid. Because of this vital role, Transpower goes to great lengths to ensure they are always well prepared for any emergency. Transpower contracted Survive-it to supply their offices and control centres throughout the country with emergency equipment for their staff; we also maintain this equipment annually via our maintenance program. 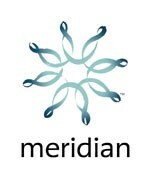 Meridian Energy has a relatively new building on the Wellington waterfront. This building had been designed and built to withstand earthquakes and tsunamis. Understandably they wanted quality and functional civil defence cabinets along with an emergency water and food supply to provide their staff with an almost “bullet proof” and safe workplace to match their strong building. They chose Survive-it to supply the equipment, food and water and also contracted us to maintain all of this equipment and supplies through our maintenance program. We have hundreds of happy customers, the above are a small example from our large customer base. We work relentlessly to keep our standards, products and services at the highest level. We are always happy to provide references and reference sites that will verify our high standards, professionalism and reliability.